When accepting the Honorary César award in 1977, Tati urged the film industry to support short filmmakers, even if they had to sacrifice a small percentage of their profits. It is through shorts that filmmakers are allowed to get creative and take risks. He points out that without shorts, the careers of people like Keaton, Chaplin, Fellini and Rene Clement would not have flourished. The same is true of himself, even if he humbly left his own name out. Through his short films, we see the evolution of his style that would materialize in his six feature films over fifty years, three of which are arguably masterpieces. This disc has all of the films shorts with his involvement, either as actor, writer, director or even father. Professor Goudet Lessons – Stéphane Goudet is all over this box-set as the preeminent Tati scholar, so it is only fitting that he conclude the disc with a half hour lecture that concludes the themes and methods of the filmmaker. One of the more common recipients of Tati’s ridicule is the education system. He made fun of schools, which we see more in his short films rather than his features. He is primarily interested in leisure, especially sports and holidays, and these do become prominent themes of his features. Constant targets are those who take themselves too seriously at anything. The basis of Tati’s cinema is observation. He likes to show us people looking, and subsequently, he challenges us to observe as well. It is curious as to why he made so few films in such a long timespan. At first it was because he needed time to observe humanity, to pick up on personal nuances and trends that he could ridicule. He says that PlayTime was the only film that the French didn’t like because they didn’t know how to watch it. For someone that is consistently compared to silent filmmakers, sound is a major attribute of his films. He likes objects or people to have one sound to characterize their function, which he often manipulates in order to highlight ridiculousness or humor. David Lynch, Olivier Assayas, Michel Gondry, Patrice Leconte and Wes Anderson all contribute snippets to this lecture. Tati Story – This is a brief bio of the life of Tati through his works. Begins with his silent period, then feature films, and shows many examples from the short films on this disc. For someone with such a limited output of work, his reach and genius was limitless. 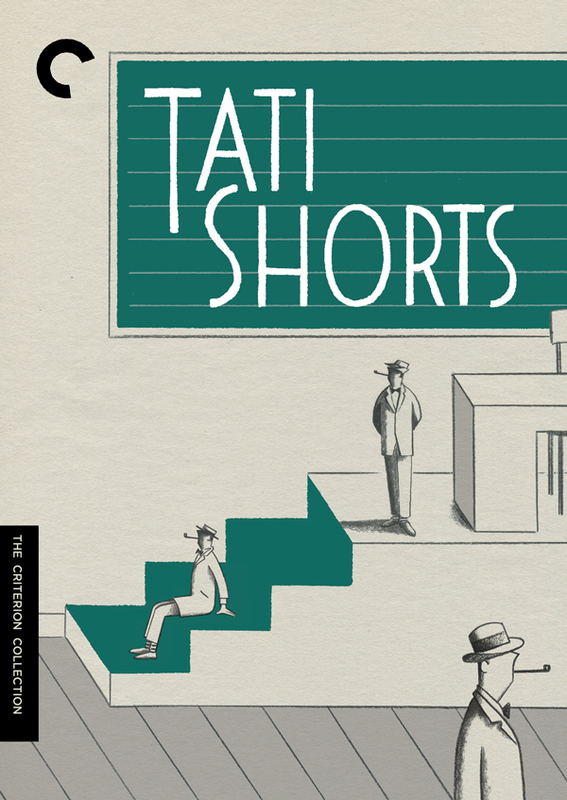 Posted on December 16, 2014, in Criterions, Film and tagged criterion, film, jacques tati, rene clement, sophie tatischeff. Bookmark the permalink. 2 Comments.